In a large shallow bowl, whisk eggs, beer, flour, salt and chili powder. Dunk one slice of bread into the batter on both sides, giving it a second to fully absorb the batter. Let the excess batter drain back into the bowl. 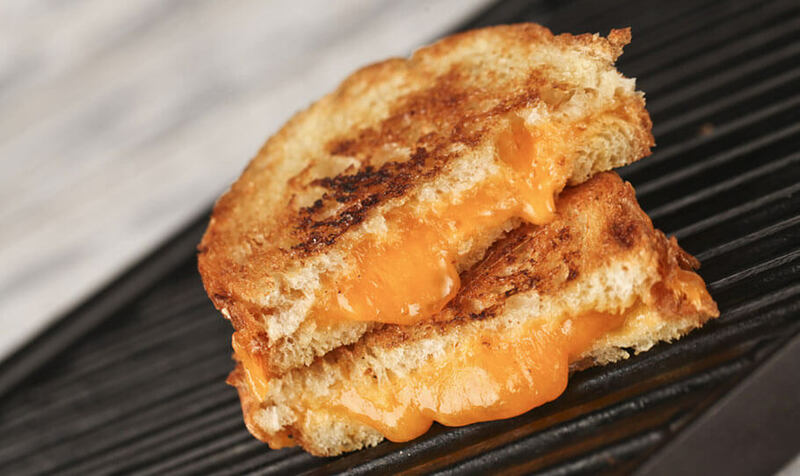 Move to another plate and top with Sharp Cheddar Cheese, Repeat with another slice of bread to complete the sandwich. In a large skillet, melt butter over medium-high heat. Place the sandwich in the middle, and let cook on each side 3-4 minutes, until it reaches a crispy golden brown and gooey cheese middle. Repeat for all sandwiches. Enjoy! © Great Lakes Cheese Company, Inc. All Rights Reserved.